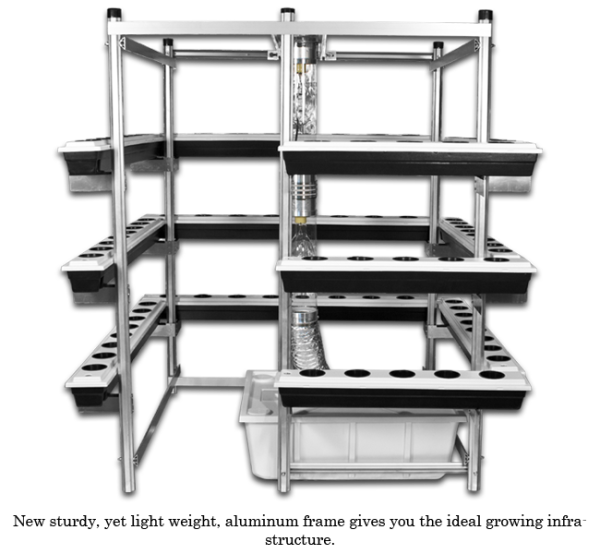 The Big Buddha Box Vertical Grow Hydroponics is vertical hydroponics at its finest. 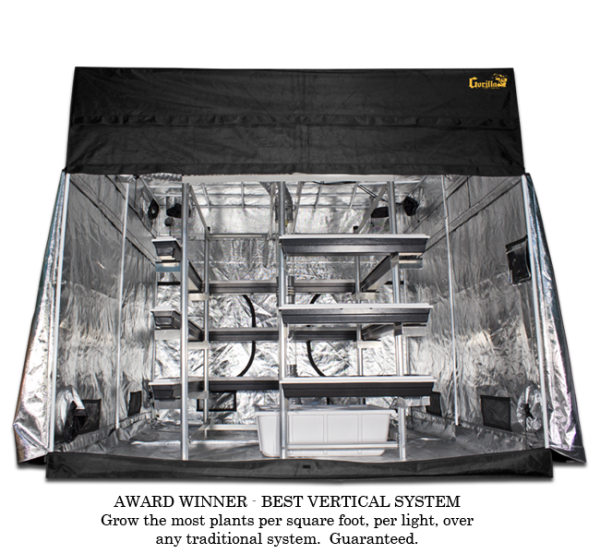 This system grows up to 5x bigger and better yields than ANY horizontal traditional growing method per watt per square foot. The Big Buddha Box can house up to 75 plants. Grow as few or as many as you like! 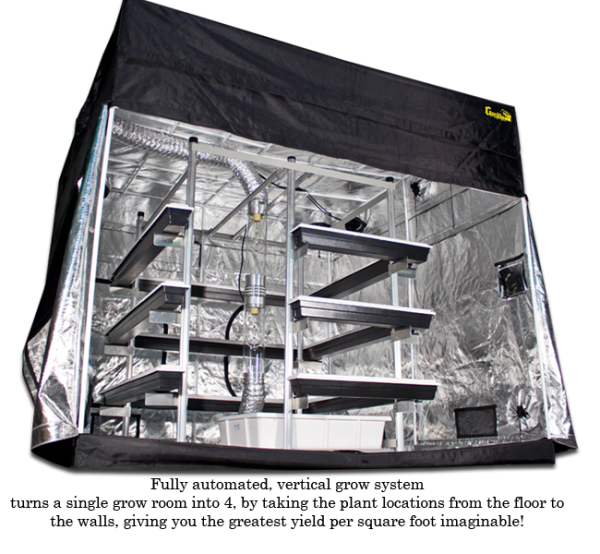 The Big Buddha Box uses VerticalPonic technology, which combines a vertical growing system with SuperCloset’s SuperPonics hydroponics technology. The average cycle time is the same as traditional systems, but the yields are so much greater! The Big Buddha Box Vertical Hydroponic System includes an 80w Air Pump, perfect for powering the VerticalPonics Oxygenation System. With our easy watering system, you won’t have to worry about the hassle of constantly refilling reservoirs for 120 sq. ft. of growing space. A single 70-gallon reservoir is all you need for this efficient system. The reservoir serves as a backup to the water supply and enables the Ebb & Flow / Fill & Drain system that is crucial to the success of VerticalPonics. The entire system can be set to timers for complete automation and can be manually adjusted for perfect plant hydration. 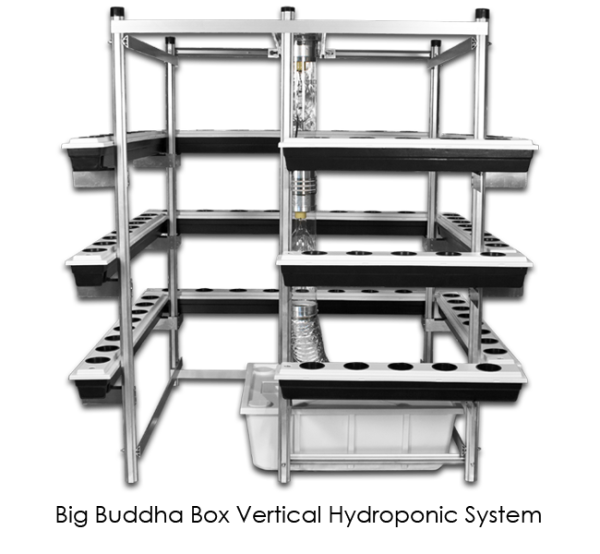 The Big Buddha Box Vertical Hydroponic System features 75 plant locations. 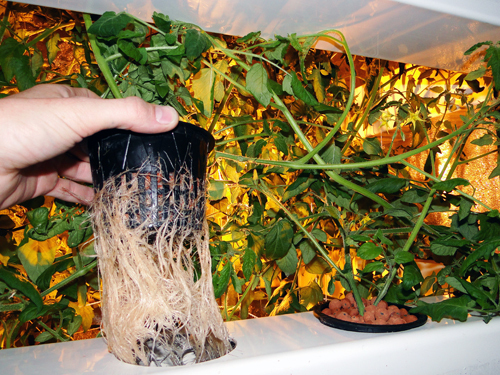 SuperPonics is the fusion of proven hydroponic technologies.This system fuses ebb n’ flow & aeroponics. What does that all mean? SPEED. 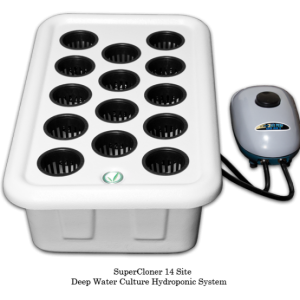 Your SuperPonics system can grow plants up to 2 times faster than any single hydroponics method, and up to 5 times faster than with soil! These snap cap, custom molded, UV stable, food grade reservoirs minimize maintenance and maximize plant health, growth, and yields. Air Force Pro Air Pumps are the quietest pumps that we have tested, yet still extremely powerful. Commonly used to provide oxygen in aquariums, fish farms, hydroponic systems and more. Solid aluminum body for enhanced durability. Designed to minimize noise and vibration. Oil-less compressor allows for easy maintenance. No lubrication required. With VerticalPonics, you will double to quadruple any yields per watt, per square foot, over ANY traditional growing method. VerticalPonics turns one grow room into four by taking the plant locations from the floor to the four walls! Genius! For example, you turn a 5′ x 5′ growing area (25 sq. ft.) into four vertical growing walls each 4′ x 6′ (24 sq. ft.). This totals a whopping 96 sq. ft. of utilizable growing space! 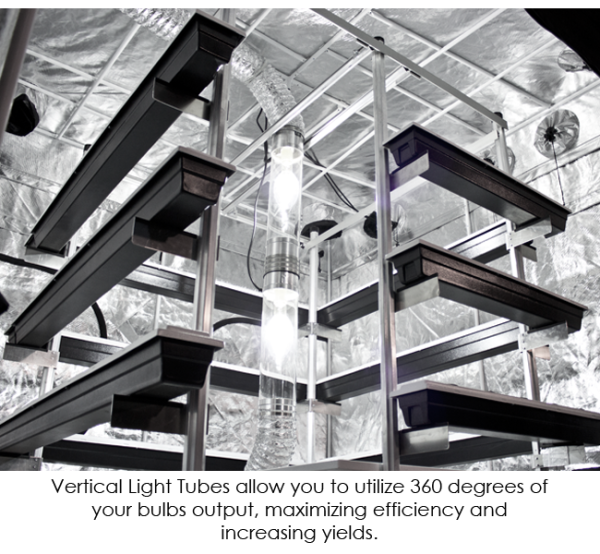 You not only nearly quadruple your growing space, but also gain the ability to grow your plants up to 5x faster with our unique, automated SuperPonic technology. Everyone is switching over to VerticalPonics, as it is the absolute best way to grow Bigger and Better yields per square foot, per watt. Period. The Buddha Box Vertical Hydroponic System can thus produce up to 6 – 12 pounds of fruits and vegetables or 2 – 4 pounds of dried herbs or flowers, in only a 5’x 5′ growing area, while the Big Buddha Box Vertical Hydroponic System can produce up to 8 – 20 pounds of fruits and vegetables and 4 – 7 pounds of dried herbs or flowers, in only an 9′ x 9′ growing area. Automatically. It is a common misconception that plants grow up. Plants actually grow towards their light source, which of course, is most commonly above the plants. 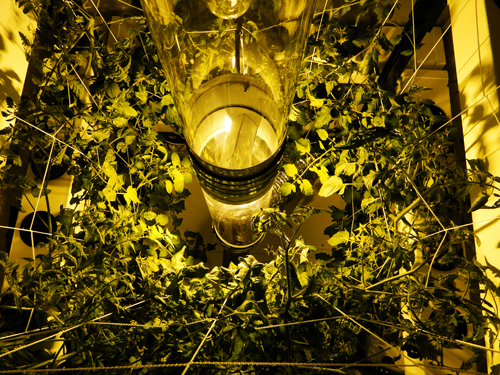 In a vertical garden, in which the lights are running down the center of the growing space, your plants will grow inward at a 45 degree angle. This is why we have included the 4 vertical net trellises. 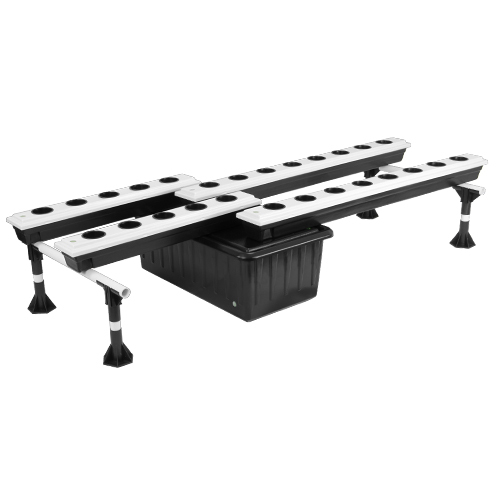 This will not only assist in training your plants, but also in supporting them as they reach towards the light, thus increasing stability, density, and yields. Your plants will have the ability to grow a full 3′ in height AND have perfect light distribution from top to bottom, thus minimizing the bottom third cut off. With this design, your entire plant will produce, increasing yields even further! Not only will you increase quantity, but you will also increase quality! The end result will be four lush walls full of dense foliage similar to that of a hedge maze!